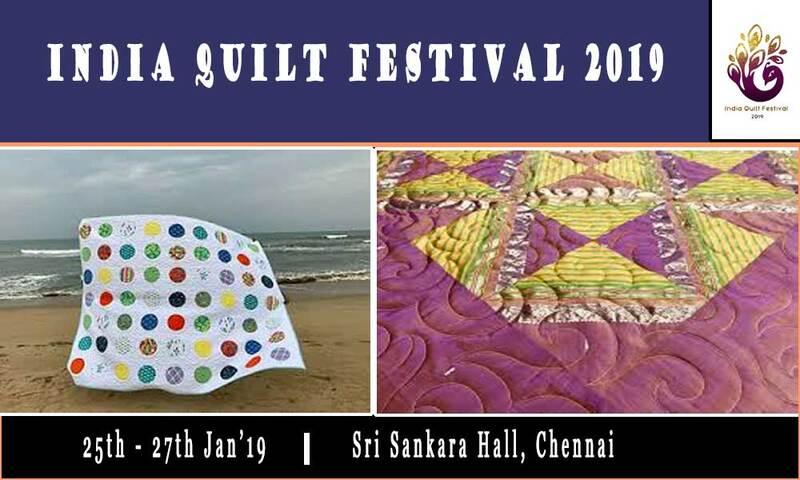 India Quilt Festival 2019 will be conducted from 25th to 27th January in Chennai. India's 1st Quilt Festival will be held in Chennai from 25th to 27th January 2019. The event will feature Quilt shows, Special exhibits from world over, Workshop and lectures from experts, Vendor booths and more. You can also the opportunity to learn new techniques with experts. For further information contact 9884818431 / contact@indiaquiltfestival.com.